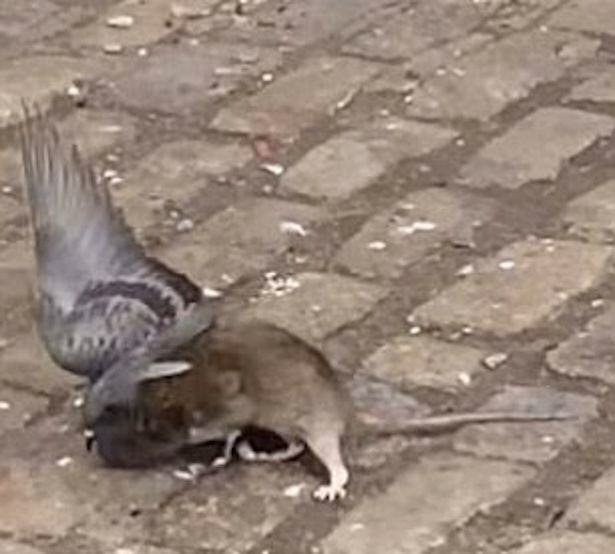 It’s the question that has plagued humanity throughout our existence – who would win in a street fight, rat or pigeon? Well, thanks to this video we now have an answer. The epic street battle was recorded in Brooklyn last summer, but has recently gone viral after being shared on LiveLeak, The Mirror reports. This New York death match starts out fairly evenly, but not long into the clip you see there can only be one winner – rat. And to the victor the spoils, as the triumphant rodent proceeds to drag the pigeon into a bush and eat it. Street justice at its grimmest. RIP pigeon.